Throw Out the Rule Book. Move from pay and chase to prevent and predict. Health payers need to move beyond manually-intensive pay and chase models. The solutions are reactive and take significant effort to maintain complex, often hand-coded business rules that exhibit high false positive rates. Further, legacy systems cannot detect emerging fraud patterns and are unable to analyze multiple-entity-based, complex behavior patterns. With Ayasdi’s Counter Fraud solution payers can transform their process with minimal disruption to existing systems by dynamically and automatically creating rules based on the evolving nature of the data. In most counter fraud processes, subject matter experts make the determination of the rules or scenarios around what should trigger a fraud investigation. Even if one has a supervised predictive model, that can only predict known fraud scenarios. 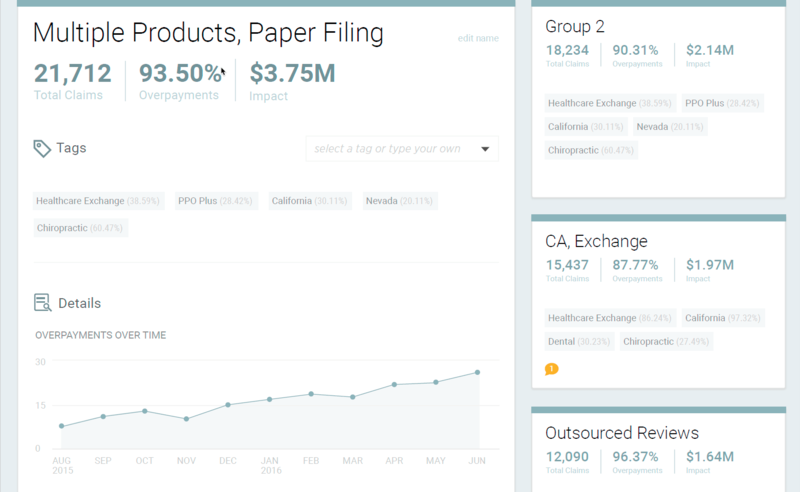 Ayasdi’s technology automatically assembles similar groups of claims, providers, and patients. This allows the subject matter experts to uncover emerging unknown scenarios quickly. 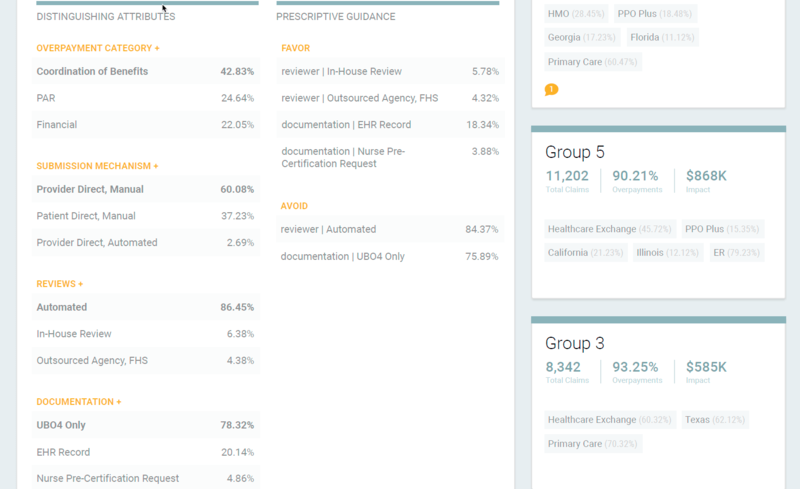 Because Ayasdi creates superior groupings of entities (patient, provider, claims), it identifies features that can predict any known fraud scenarios with accuracy that cannot be found in competing solutions. 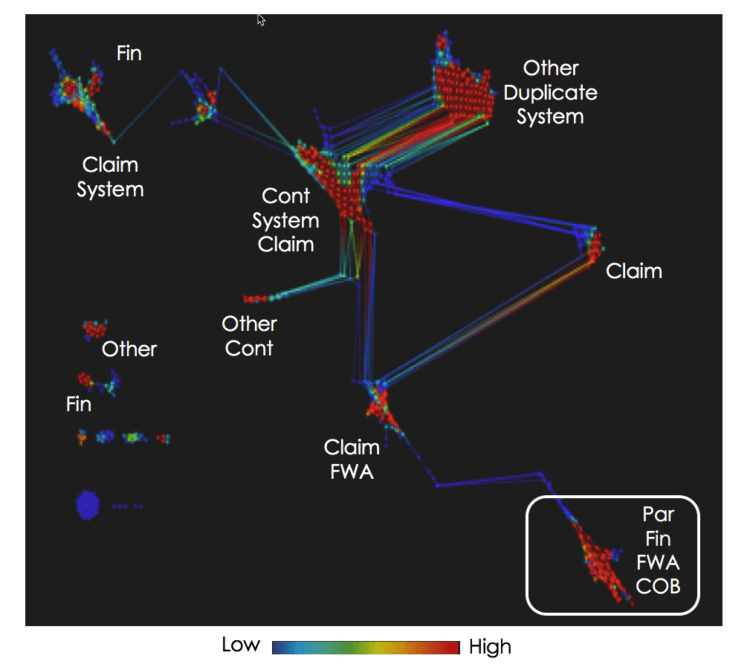 A critical, often overlooked step, in Counter Fraud workflows is the ability to explain what has driven the creation of the anomalies and the optimization of thresholds within the scenarios. 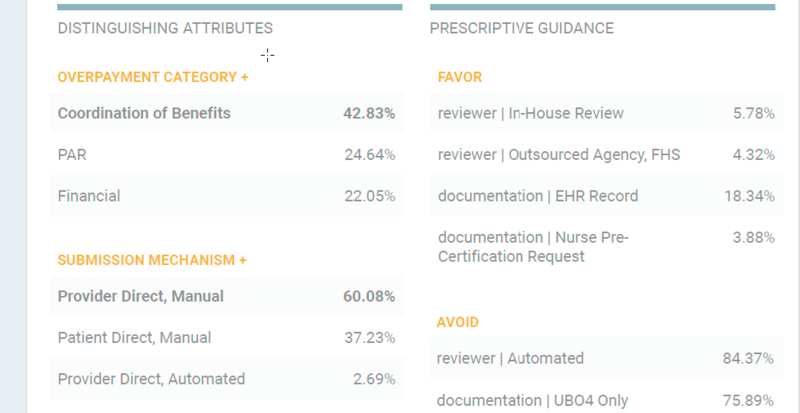 Aysadi provides complete transparency into what is driving the anomalous segmentation of claims/claims sequences/providers and the ranking and produces simple decision trees that can be shared with the investigation team. Ayasdi’s Counter Fraud solution operates in a payer’s analytical workflow producing prioritized lists for the investigative team or into the appropriate downstream applications. Pushing intelligence to the subject matter experts results in fewer false positives and earlier identification of emerging fraud trends. Ayasdi’s Counter Fraud solution is constantly looking at newly arriving data, identifying changing patterns and suggesting updates to segments and rankings based on that information. As a result, subtle patterns suggesting emergent behavior is identified for the subject matter experts to consider. Learn how leading healthcare organizations have deployed machine intelligence to attack fraud, waste and abuse. 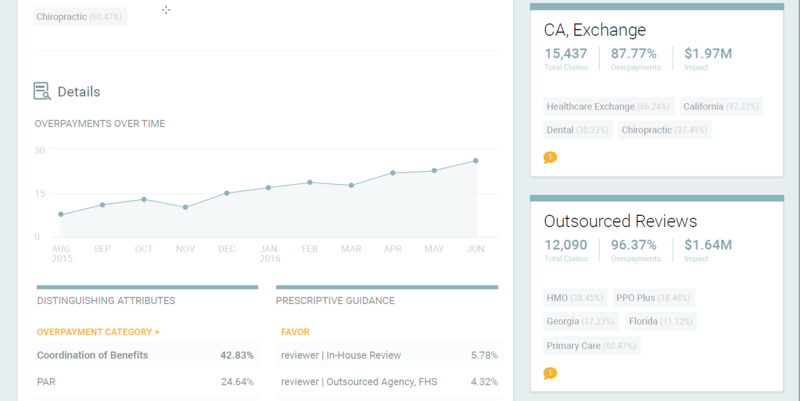 Learn how healthcare payers benefit from Ayasdi's machine intelligence software.